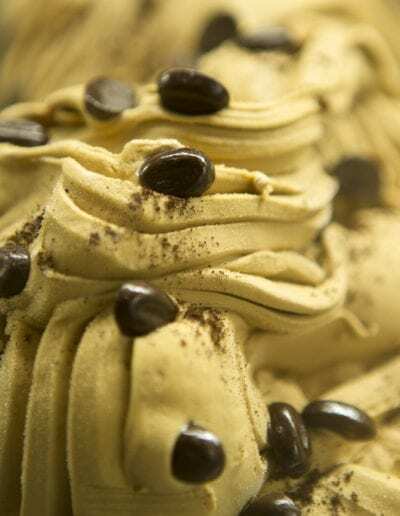 The marriage of coffee liqueur, Mascarpone cheese, and lady finger cookies exude sophistication in this twist on the classic Italian dessert. 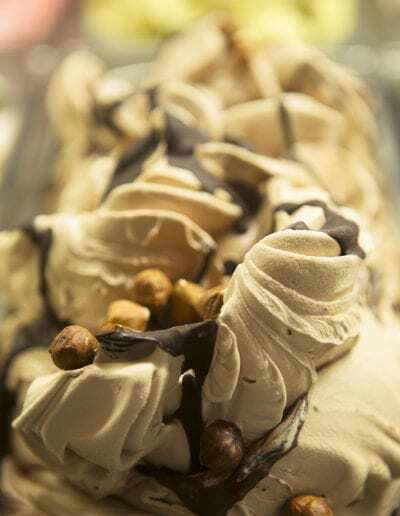 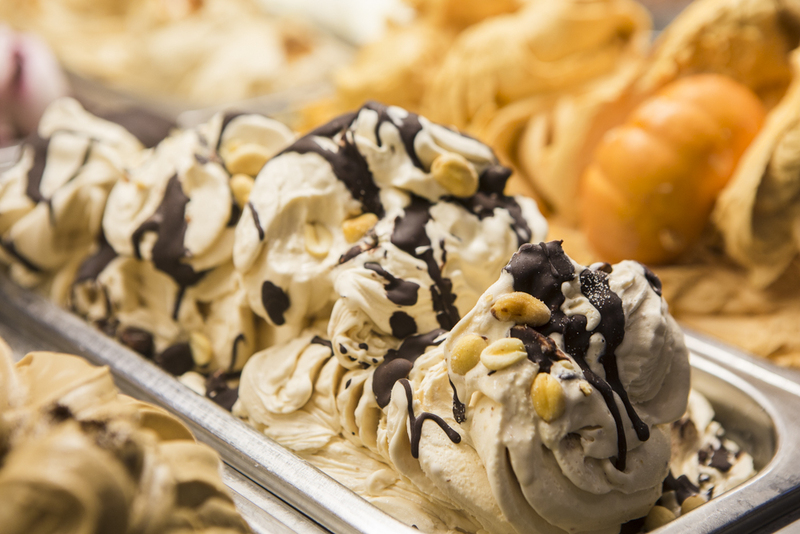 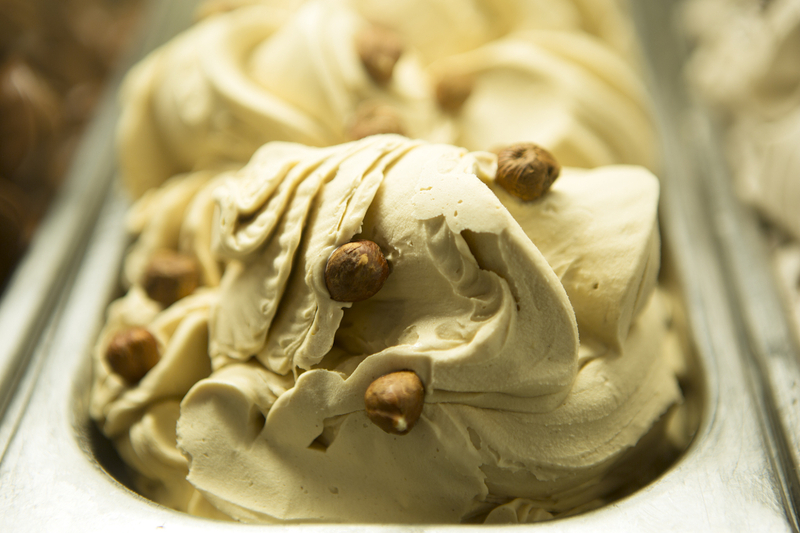 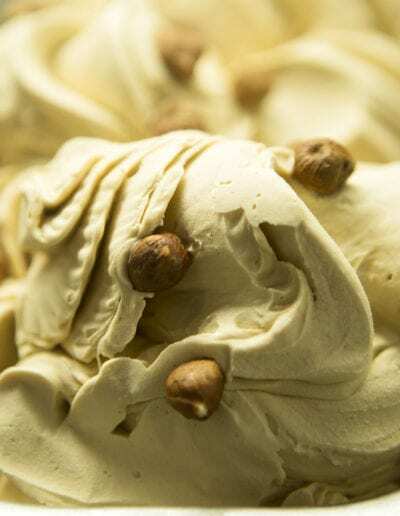 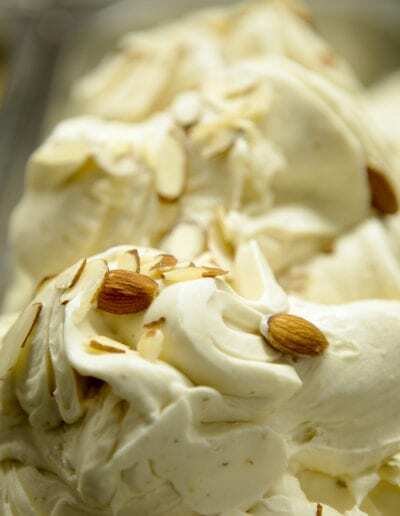 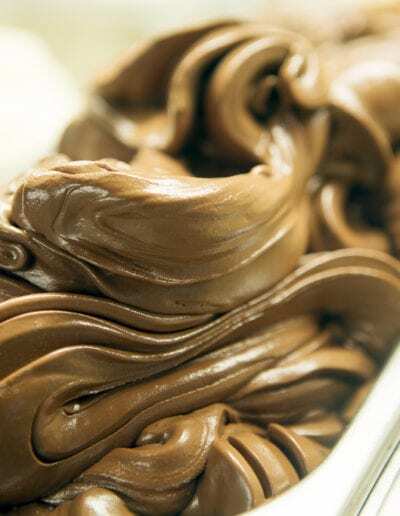 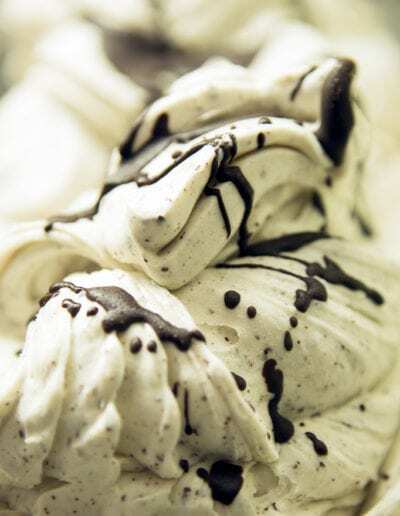 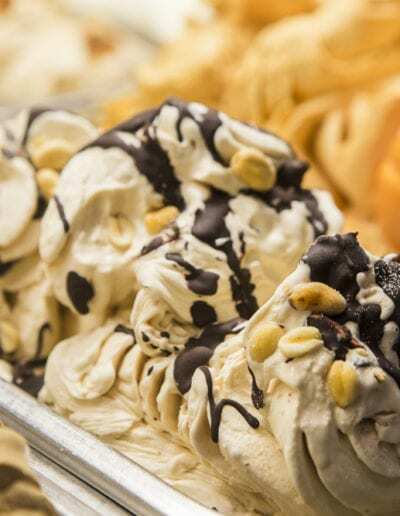 Savory peanut gelato is riddled with chocolate and peanut bits for a salty and sweet, nut lover’s delight. 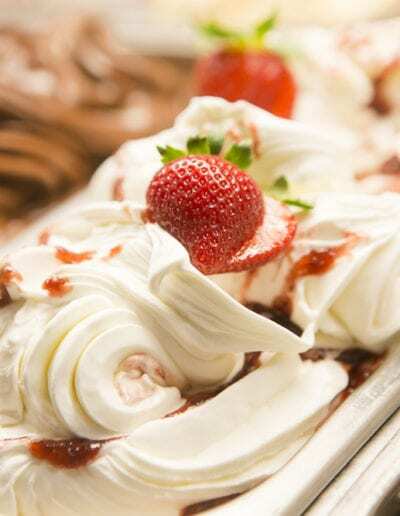 Creamy vanilla laden with rivers of fresh strawberry sauce. 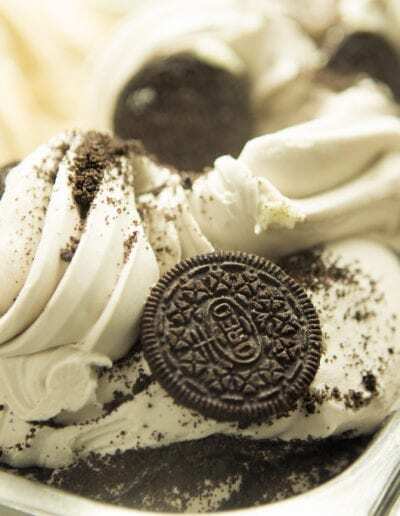 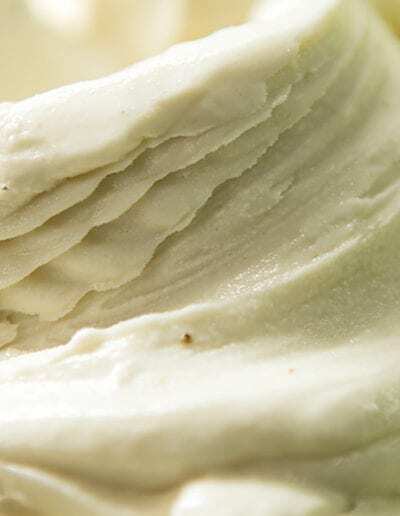 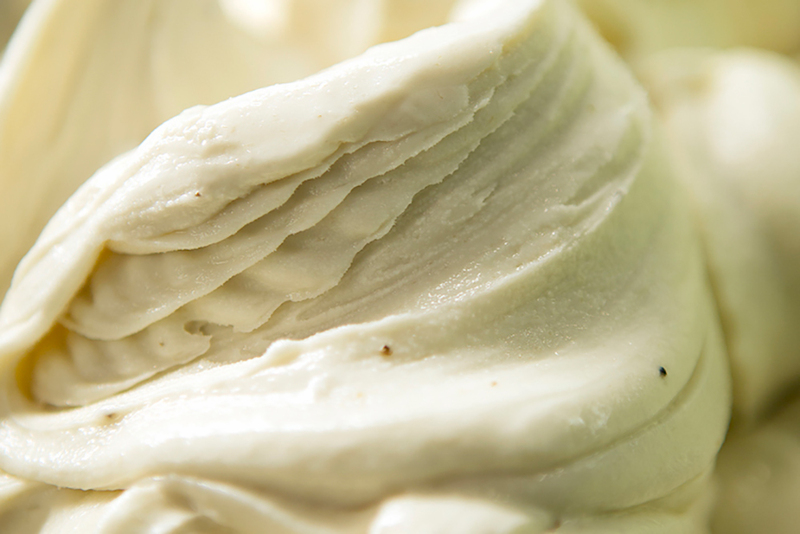 The finest vanilla beans coupled with pure cream help create the classic base for all of our flavors. 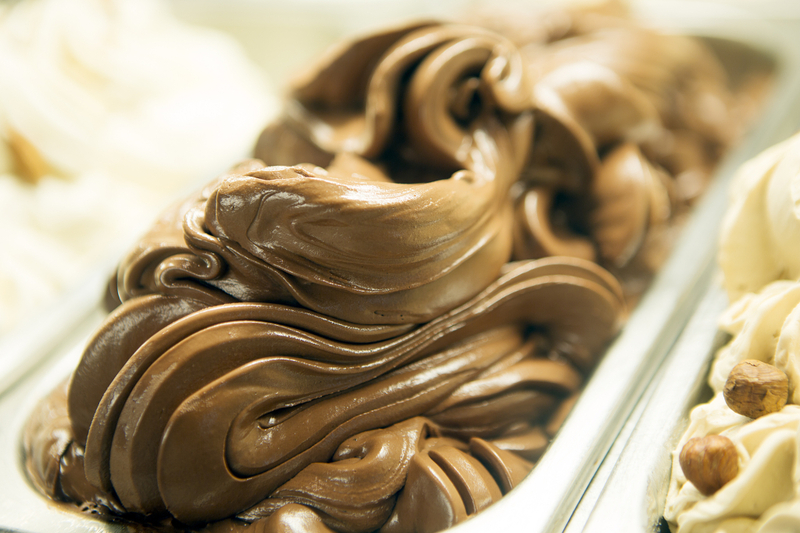 Molten dark chocolate is folded into our classic vanilla, adding a chocolaty crunch to the creamy Italian favorite. 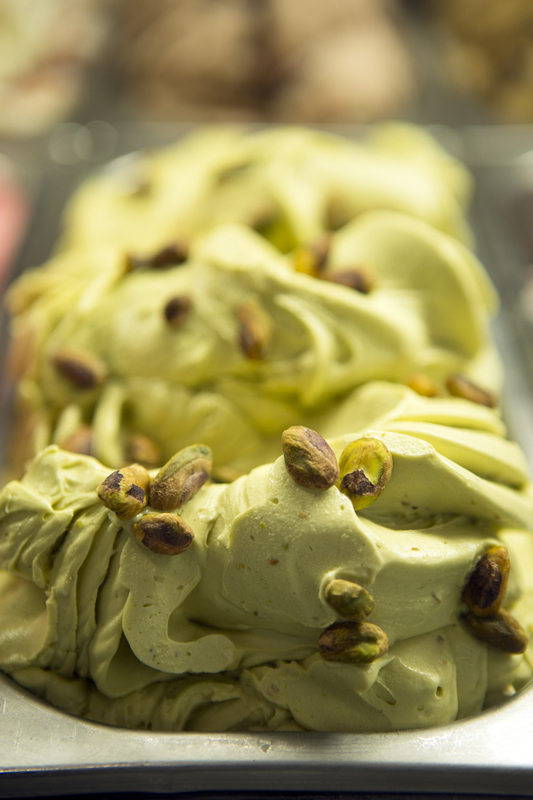 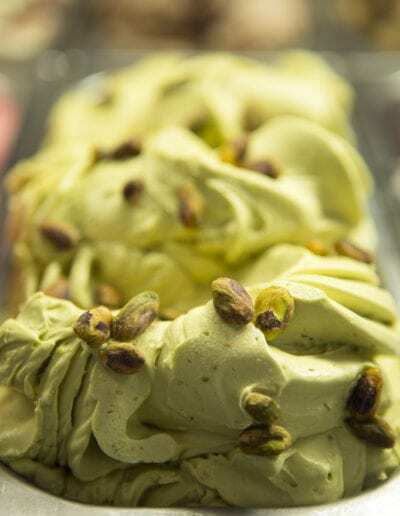 Roasted and salted pistachios and a pure Sicilian pistachio butter are used to make a truly decadent and natural pistachio gelato. 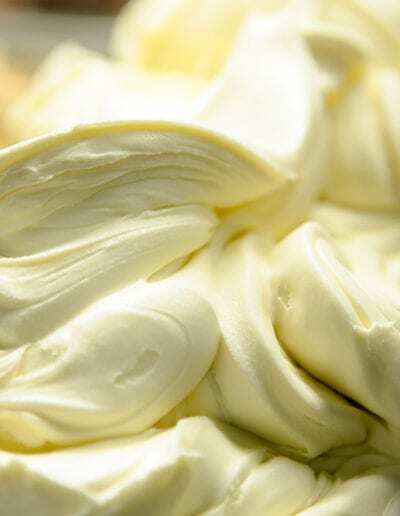 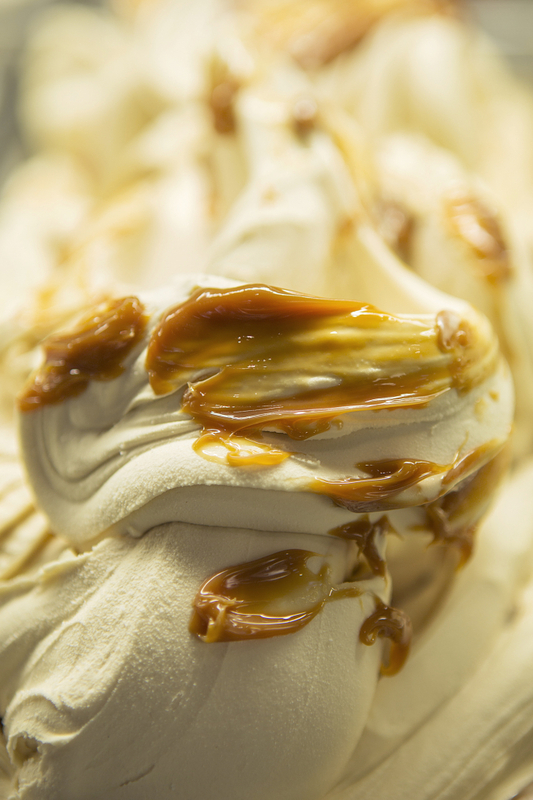 Based on the Italian dessert, our elegant and velvety Italian Cream gelato is reminiscent of Creme Brûlée. 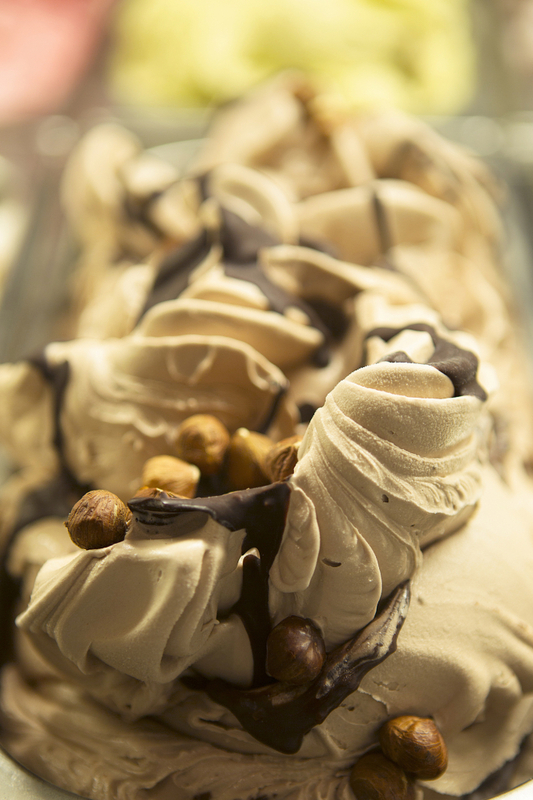 Rich and robust, the roasted hazelnut flavor creates a sensation on your palate not unlike that of espresso. 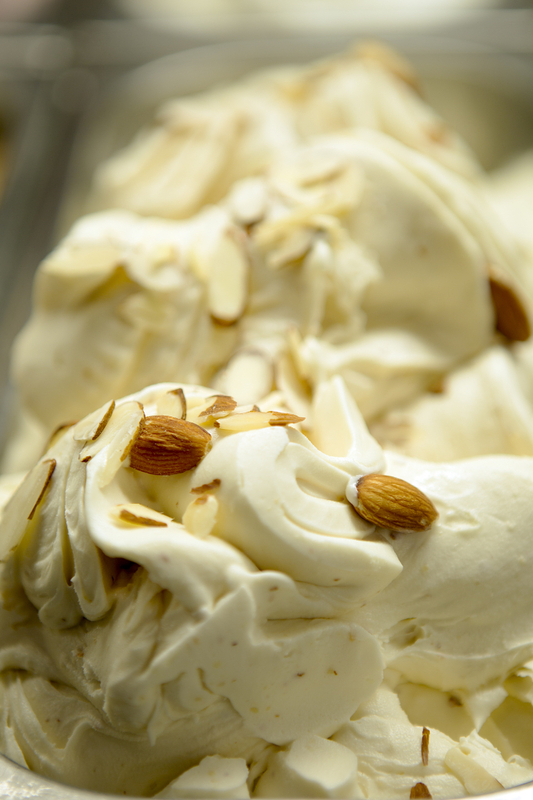 Toasted almond pieces freckle almond infused gelato for a unique and buttery delight like no other. 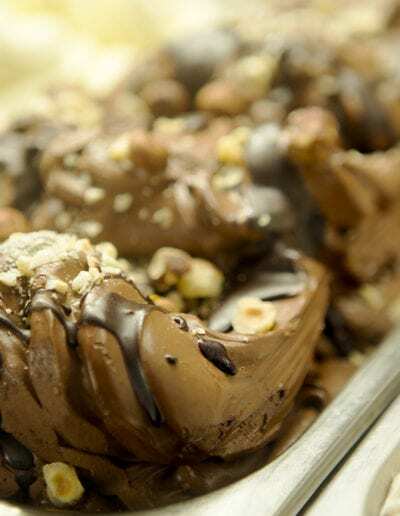 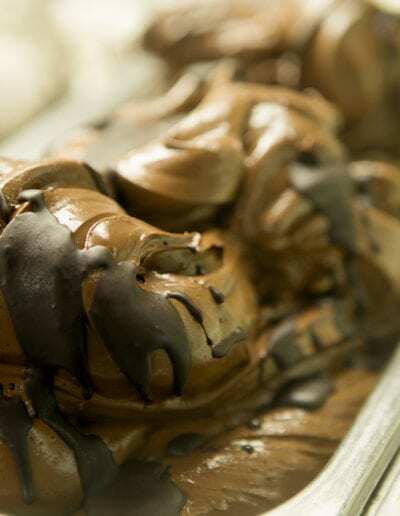 Layers of chunky dark chocolate and hazelnuts are engulfed by our smooth milk chocolate and hazelnut infused gelato for a modern spin on a traditional Italian candy. 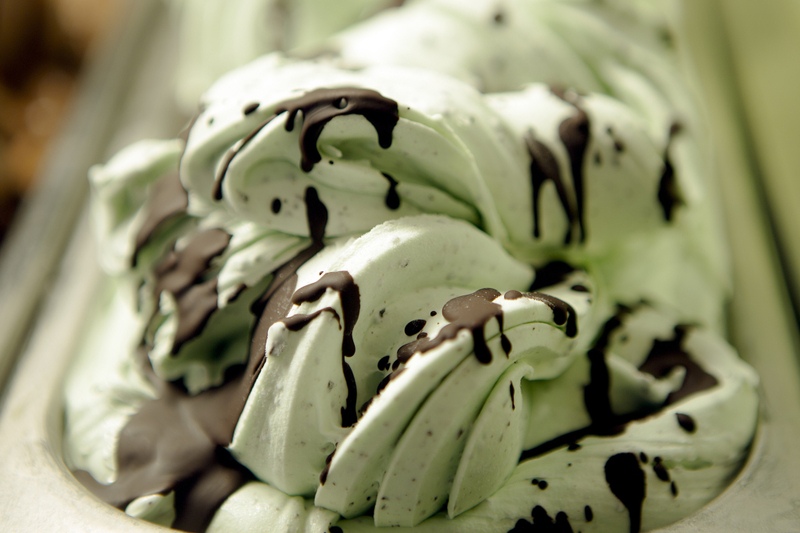 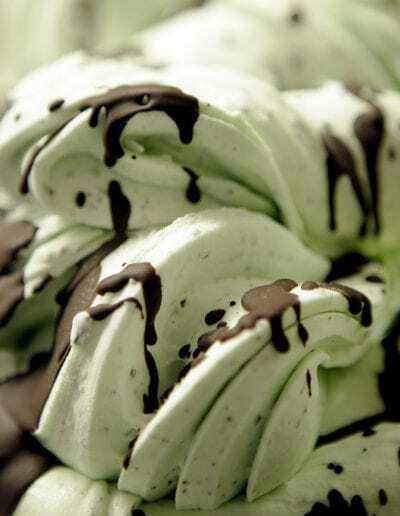 Decadent and refreshing, our mint gelato gets the traditional Italian treatment by folding in thousands of crunchy pieces of dark chocolate. 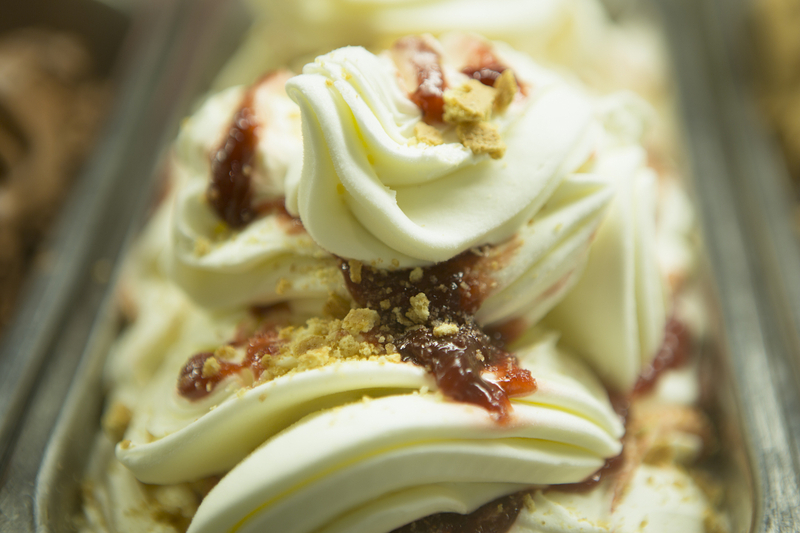 Graham cracker crusted and strawberry swirled. 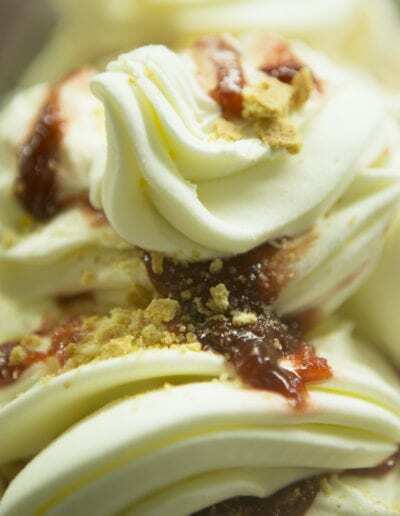 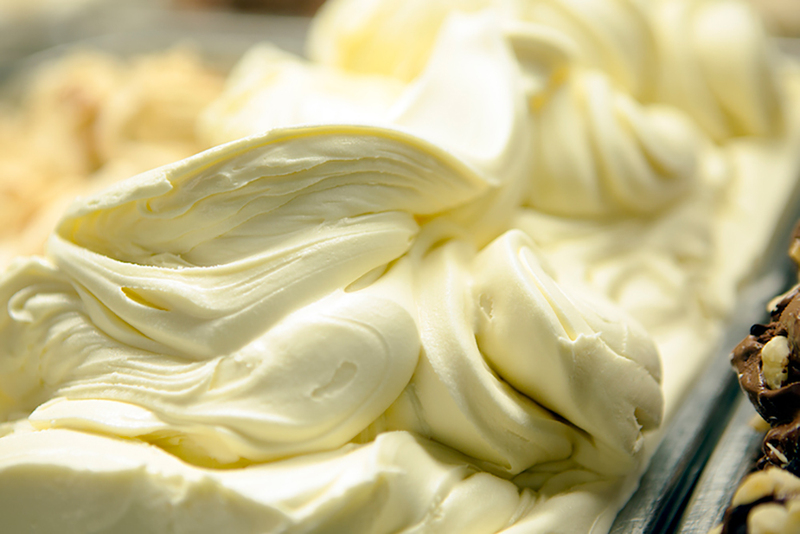 Our cheesecake gelato is as thick and flavorful and the real thing. 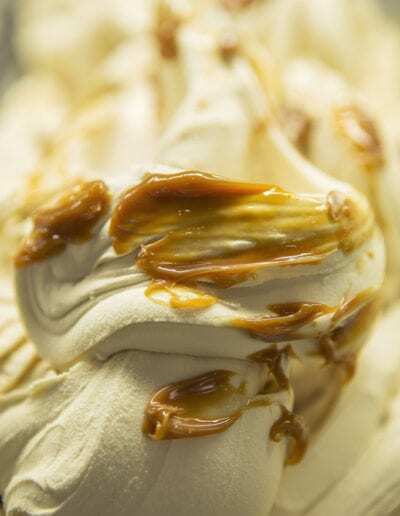 Golden ribbons of Argentinian caramel are swirled together with sweet cream in our take on this luxurious Latin American treat. 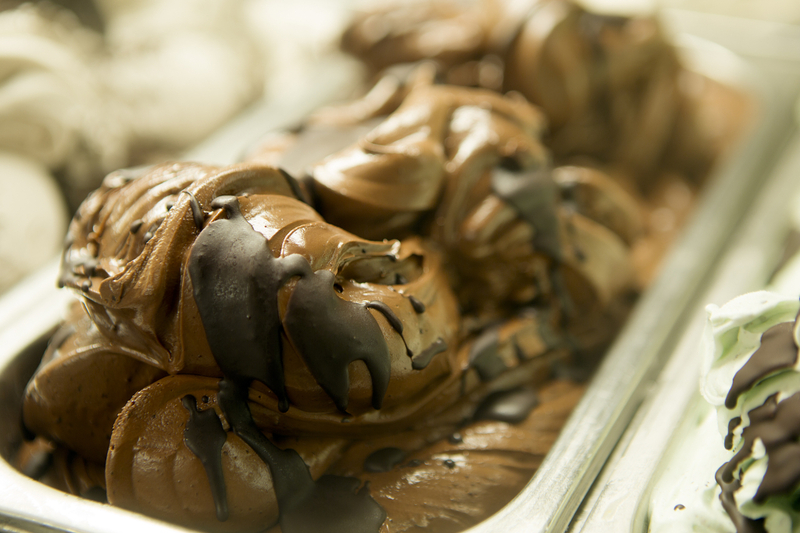 Our classic chocolate gelato is blended with flakes of extra dark chocolate to produce our richest and most popular flavor. 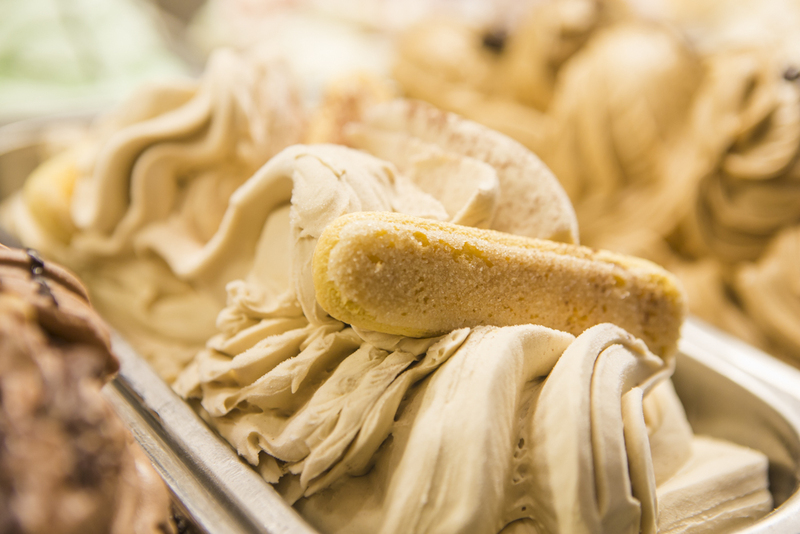 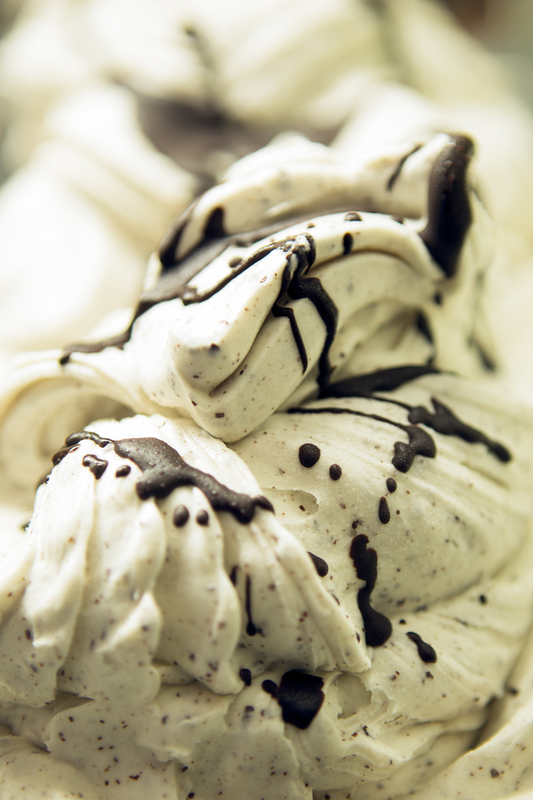 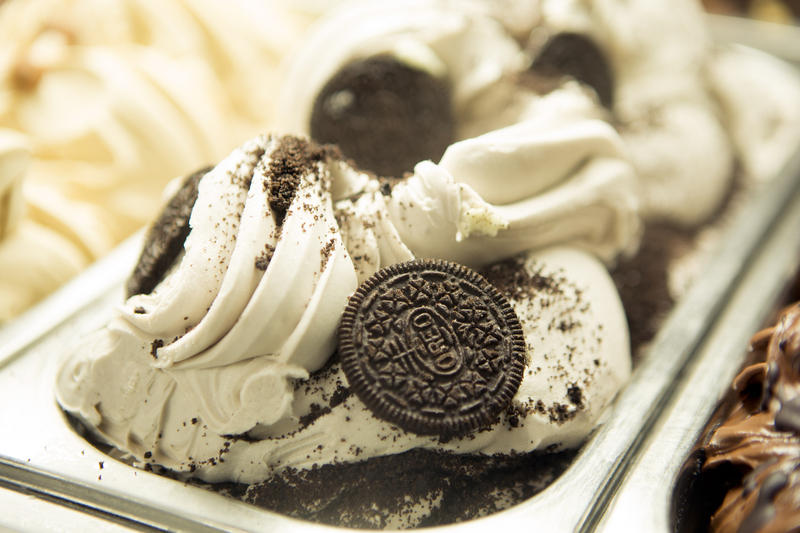 Chunks of cookies are blended with our Vanilla gelato to put an Italian twist on this American classic. 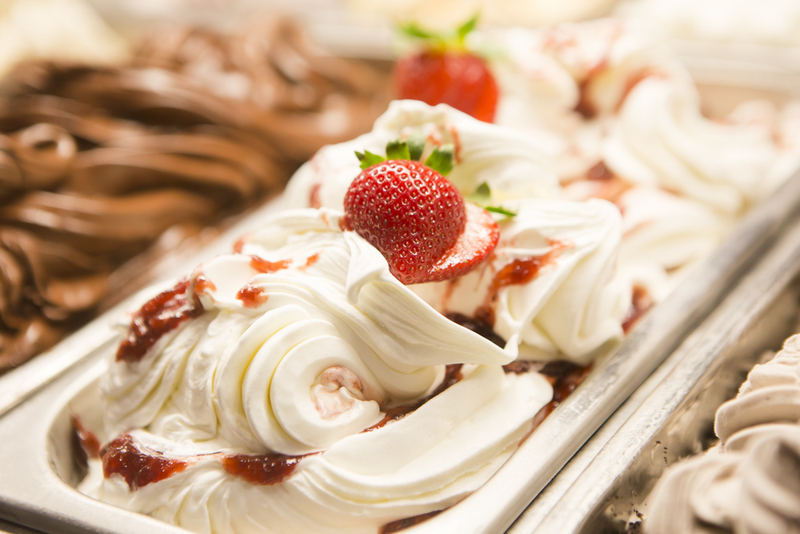 Rich and indulgent. 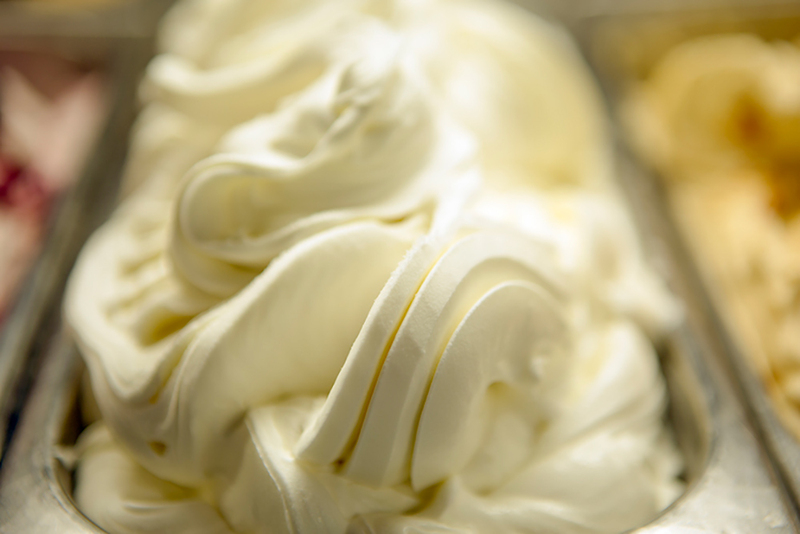 Made from the finest cocoa and pure cream. 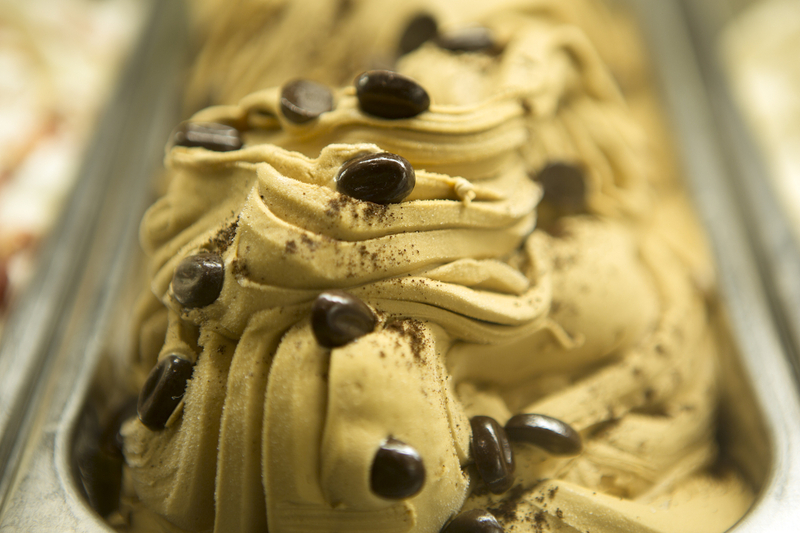 Real Italian espresso is roasted to yield its robust and complex flavor that soothe the palate and awaken the senses. 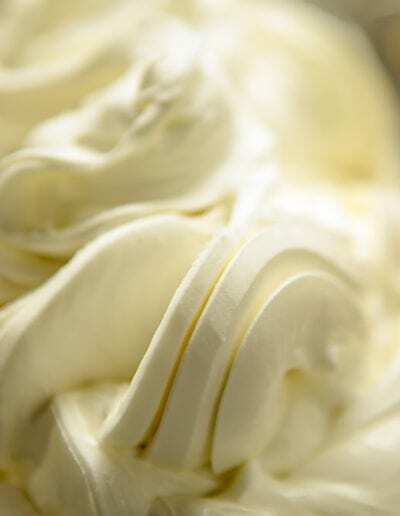 Subtle and elegant. 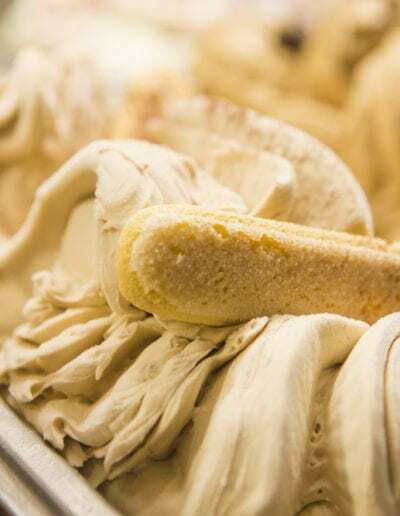 Made from perfectly ripe Guatemalan Bananas. 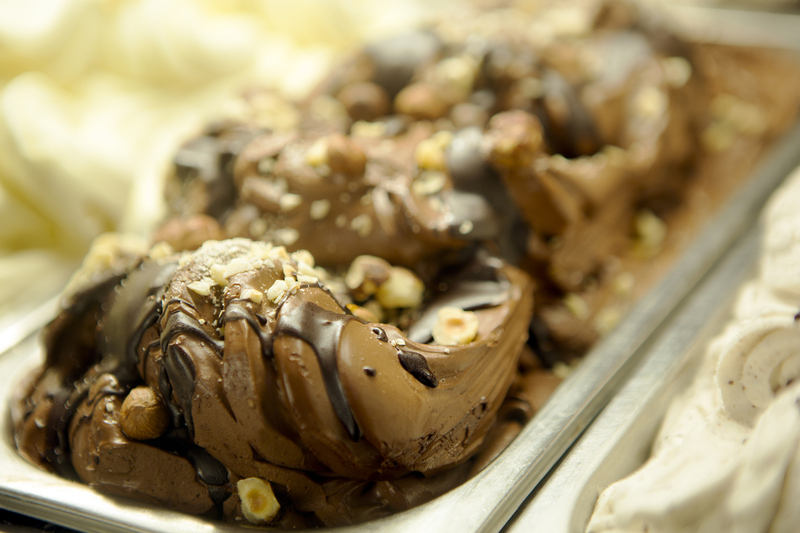 Modeled after the Italian candy, we infuse dark chocolate and hazelnut for a decadent and earthy flavor. 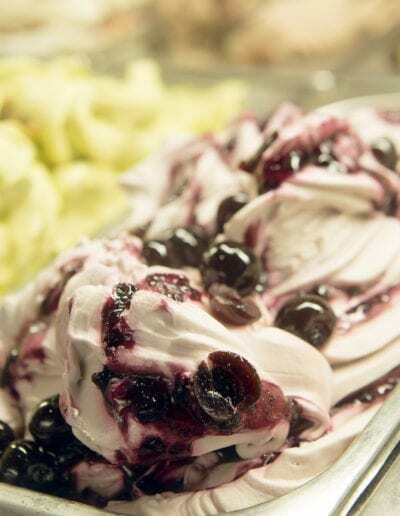 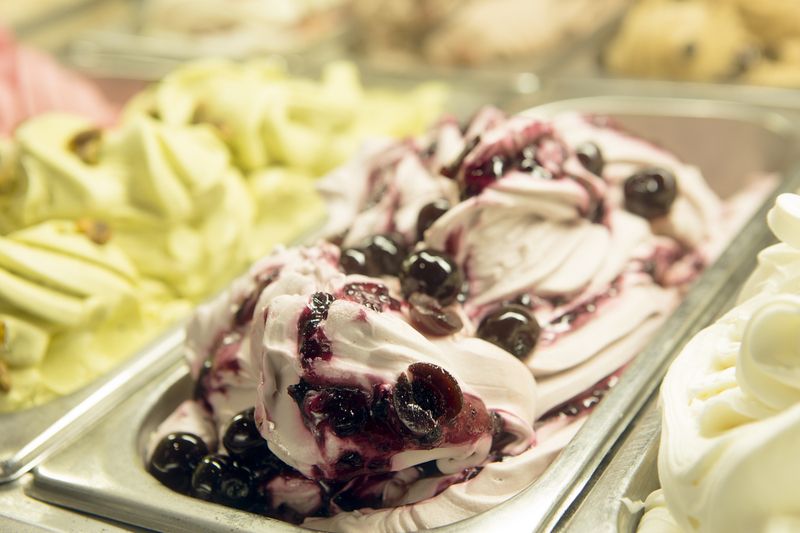 Our vanilla is blended with juicy dark cherries straight from Italy to create a tangy and sweet experience.